Nine hours on the bus to Santa Rosa in Sonoma County. I woke up at four a.m. and sat up front with Geoff, our British driver, as we cruised over the Bay Bridge into Marin. Nice country, if you’re partial to that sort of thing. We’re spending the day off at the Hyatt Vineyard Creek Hotel. There are certain hotels in pretty suburban areas like this one where you expect to see Rod Serling [the screenwriter, best known for The Twilight Zone, his science-fiction television series of the Sixties] sitting in the lobby reading an out-of-date newspaper. As far as I can tell, there’s no one staying here but me. No one at the pool, no one at the coffee shop. I know the whole band is supposed to be staying here, but where are they? Even Vince [the tour accountant] has disappeared. What’s worse, I left my wallet in the room in San Diego. It was found, but it will take a day to FedEx and I forgot to ask Vince for money. So even if I wanted to cross the highway and take a look at that shopping center—I don’t—I couldn’t buy anything. I have no idea where the actual town of Santa Rosa is, but why bother to ask? I’ve noticed that, on off days, some band members do their laundry—at least, the girls do. (In the Seventies, I used to throw my underwear in the sink and pour in some Woolite.) Walt Weiskopf (sax and flute) and Freddie Washington (bass) play golf. Asking me to play golf would be like asking me to drive over to the town dump and separate all the wrongly placed bottles and cans from the regular garbage. That’s how I think of it. So, again, I’m holed up in my room. I can’t work on music on the road. It just doesn’t happen. So I’m writing this. I always associate Northern California with the late Sixties, when I spent some time here. The hippie stuff was fun for about five minutes and then, by late ’67, the barbarism had set in. A typical story: A woman I know made the mistake of accepting the invitation of a famous “hippie” songwriter to spend the day on his houseboat in Mendocino, where he proceeded to beat the hell out of her and, for a time, kept her there at gunpoint. Luckily, she escaped and told her friend Sonny Barger, then president of the Oakland Hell’s Angels, about it. Sonny sent a crew roaring upstate, where they worked the guy over and burned down his boat. In those days of love and peace, you’d hear that sort of stuff all the time. The thing is, lately, when I tour with Steely Dan, the venues also seem to be shrinking. Of course, I’m being disingenuous. Mike, Boz and I are pretty old now and so is most of our audience. Tonight, though, the crowd looked so geriatric I was tempted to start calling out bingo numbers. Nevertheless, by the end of the set they were all on their feet, albeit shakily, rocking out to Mike’s performance of Buddy Miles’s “Them Changes.” So this, now, is what I do: assisted living. 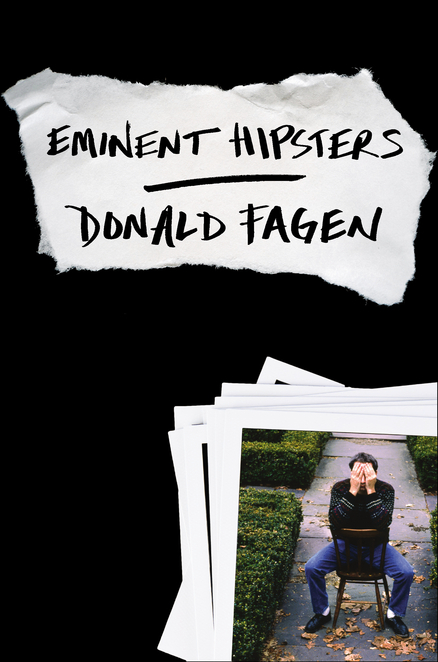 Extracted from Eminent Hipsters by Donald Fagen, published by Vintage in paperback at £8.99, ebook available. Donald Fagen was born in 1948 and grew up in New Jersey. He is a graduate of Bard College, where he met the musician Walter Becker, with whom he formed Steely Dan. His writing has appeared in Premiere, Slate, Harper’s Bazaar and Jazz Times. He lives in New York City.